The world's oldest person has died at the age of 117. Nabi Tajima, a Japanese woman, died in a hospital Saturday evening in the town of Kikai, an official said. She had been hospitalized since January and had lived in a nursing home for many years before that. "She passed away as if falling asleep. As she had been a hard worker, I want to tell her 'rest well,'" Tajima's 65-year-old grandson, Hiroyuki, told reporters. Tajima was born on Aug. 4, 1900, and was the last known person born in the 19th century, reports said. She had seven sons and two daughters and reportedly had more than 160 descendants. She became the world's oldest person after Violet Brown, of Jamaica, died at the age of 117 in September. 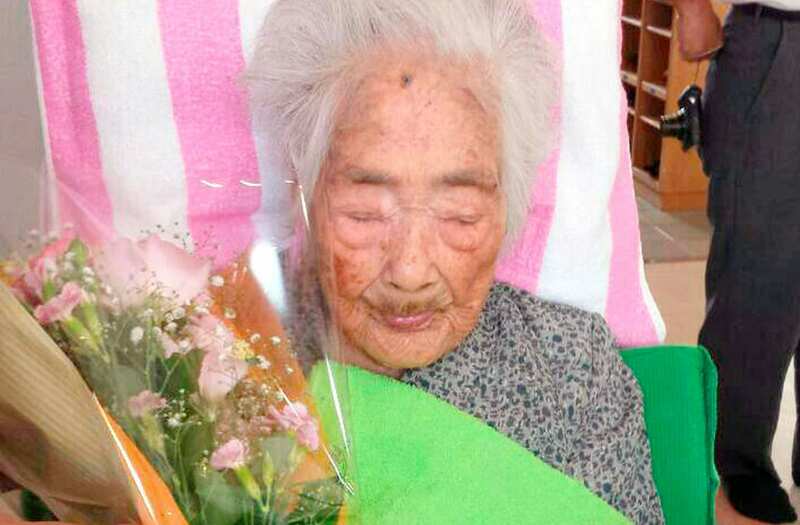 Another Japanese woman, Chiyo Miyako, is now the world's oldest person, according to the U.S.-based Gerontology Research Group. Miyako turns 117 on May 2.